Kuwait's Amir walks into the KIF 2018 opening session. Kuwait has announced plans to build a mega-project that will attract up to $200 billion in foreign direct investment (FDI) and contribute $220 billion to the country’s GDP. The ambitious Northern Gulf Gateway, an integrated flagship project for realising the Kuwait National Vision 2035, will open investment opportunities for US, European, Chinese and Asian investors, said officials revealing details of the project at the Kuwait Investment Forum 2018 (KIF 2018). The development will create 300,000 to 400,000 knowledge-based jobs and attract three to five million visitors annually, opening new investment opportunities for the tourism, hospitality and leisure sectors. 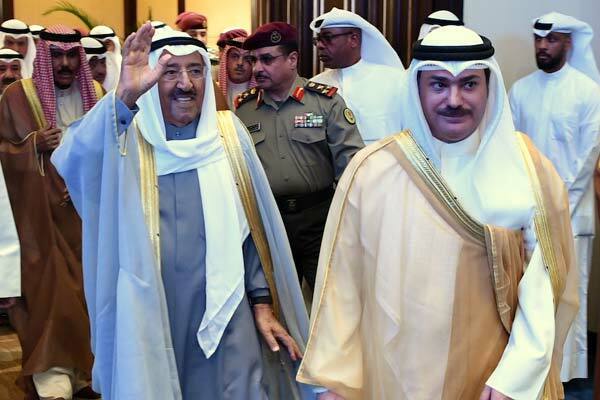 “We have chosen the Northern Gulf Gateway development not only as an economic catalyst but also to take advantage of our geographic location, which lies closest to two of the world’s oldest civilisations,” said Sheikh Nasser Sabah Al Ahmad Al-Sabah, First Deputy Prime Minister and Minister of Defence, Kuwait. Connected with China’s Belt Road Initiative, the development will have a world-class airport, industries, a knowledge zone, a leisure zone and an educational zone, he said. “With Northern Gulf Gateway, Kuwait will be a catalyst in bringing together other countries in the region and across the world,” he added. The board of trustees of the Harbour City in the Northern Gulf Gateway will discuss with Chinese companies on new projects on May 1, it was revealed. “Since the inception of our SME Fund, more than $7 billion were set aside for them and such support doesn’t happen in any other country,” he added. She gave details of the different zones that will be part of the Northern Gulf Gateway. It will include an educational hub; a centre for smart industry and future technologies; a port of 8 million TEU capacity; a financial hub with a stock exchange, and a touristic destination that will also feature a world-class medical facility. Held under the patronage of His Highness the Amir Sheikh Sabah Al Ahmad Al Jaber, KIF 2018 is co-organised by the Kuwait Direct Investment Promotion Authority (KDIPA), and the Kuwait Chamber of Commerce and Industry (KCCI) at the Bayan Palace and the Jaber Al Ahmad Cultural Centre (JACC).